Carol Elaine Fairchild, 80, of Nampa, Idaho, passed away peacefully at Country Time Assisted Living in Star, Idaho on Monday, August 27, 2018. 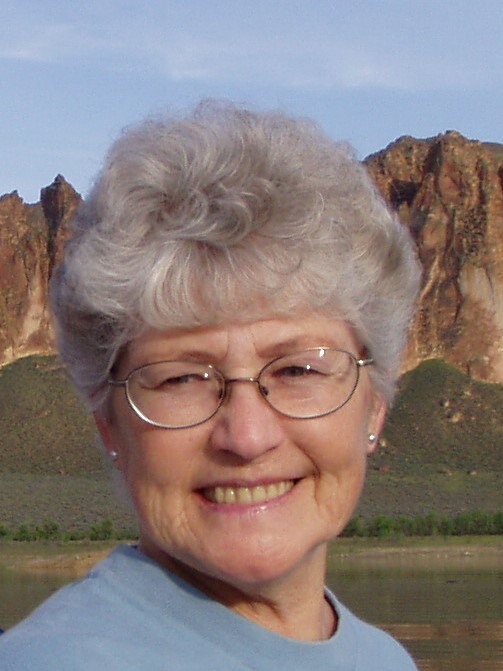 Carol was born in Nampa, Idaho to Ross and Hattie Klefman. She was the middle of 3 children. Carol graduated from Nampa High School in 1956. After high school Carol married C. J. Wadsworth and lived in Klamath Falls, Oregon before returning to Nampa. They had 2 children. In 1961 Carol married Lloyd Fairchild. Carol enjoyed spending time doing her arts and crafts. She liked collecting things, finding antiques and refurbishing them. Her and Lloyd spent many enjoyable hours searching for rocks and artifacts. She was an excellent seamstress and especially loved scrapbooking. Carol valued spending time with family and friends. She was an “auntie” and “grandma” to many people and she dearly loved her devoted girls at Country Time. Carol is survived by her brothers, Gene (Rosie) Klefman of Boise, Idaho and Wayne (Charlene) Klefman of Challis, Idaho; her son, Galyn (Nancy) Wadsworth of McCall, Idaho; and many grandchildren, great grandchildren, nieces and nephews. She was preceded in death by her parents, Ross and Hattie Klefman; husband, Lloyd Fairchild; stepson, Thomas Fairchild; and daughter, Dana Wadsworth. A memorial services for Carol will be held 11:00AM Wednesday, September 5, 2018 at Alsip and Persons Funeral Chapel, 404 10th Avenue South, Nampa, Idaho. The family wishes to express their special thanks to Country Time Assisted Living for their kind care of Carol the last 6 years.